America's struggling carrier Sprint is working with European wireless retailer Dixons Carphone to expand the former's physical retail presence in the US. The two companies have made an agreement to open up to 500 new Sprint-branded stores. This news comes after a pilot program announced in the summer. The two companies will build and operate the new stores with each having 50 percent ownership. This expansion is intended to strengthen Sprint's brand in the face of fierce competition from T-Mobile, which took over Sprint's third place position behind Verizon and AT&T last year. 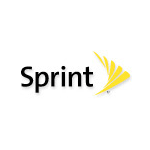 OVERLAND PARK, Kan. (BUSINESS WIRE), February 29, 2016 - Sprint (NYSE:S) and Dixons Carphone, the leading European wireless and consumer electronics retailer, today formally announced a joint venture to open and operate up to 500 new Sprint-branded stores across the U.S. The agreement comes after a successful pilot program launched last year, which resulted in strong sales performance and increased customer satisfaction ratings at pilot retail stores in trial markets. The joint venture is expected to help fuel Sprint’s retail transformation, including the expansion of its retail store footprint. Under the agreement, Sprint and Dixons Carphone Connected World Services (CWS) division will build and operate new Sprint stores in multiple U.S. markets. The two companies will fund the startup costs of the joint venture equally and will each have 50 percent ownership interest. Dixons Carphone is Europe's leading electrical and telecommunications retailer and services company and is recognized globally for its retail expertise. In a former joint venture with Best Buy, the company helped launch Best Buy Mobile and the Geek Squad program. The agreement is the latest in Sprint’s commitment to building world-class partnerships to drive its business forward. Sprint recently announced a deal with newly formed Mobile Leasing Solutions, LLC to help address cash needs related to device leasing.